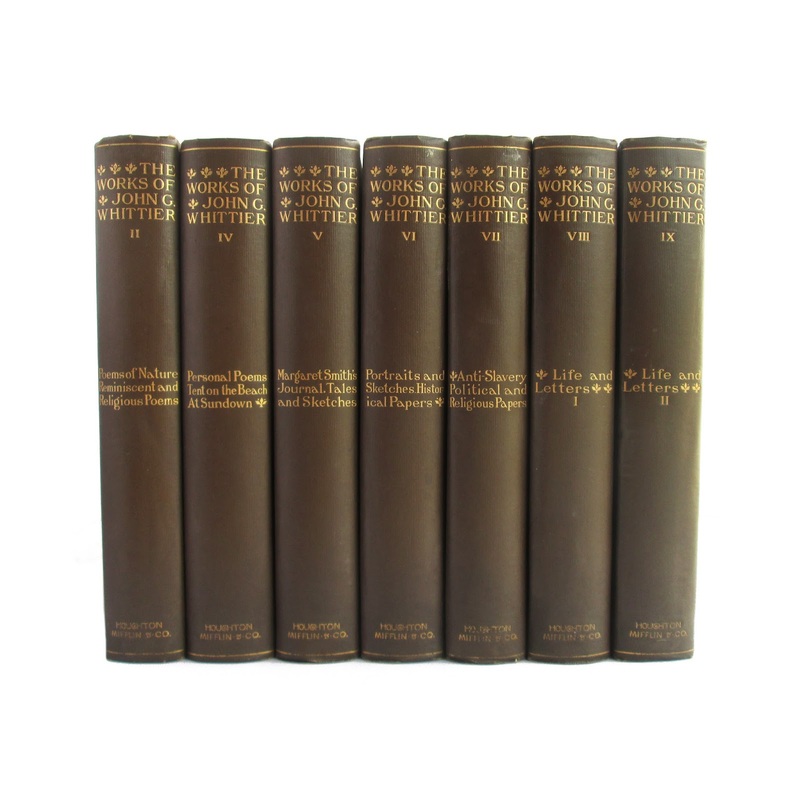 This antique hardcover multivolume set is bound in brown cloth with bright gilt lettering and cover illustrations of Whittier's home. Top page edges are also gilt. 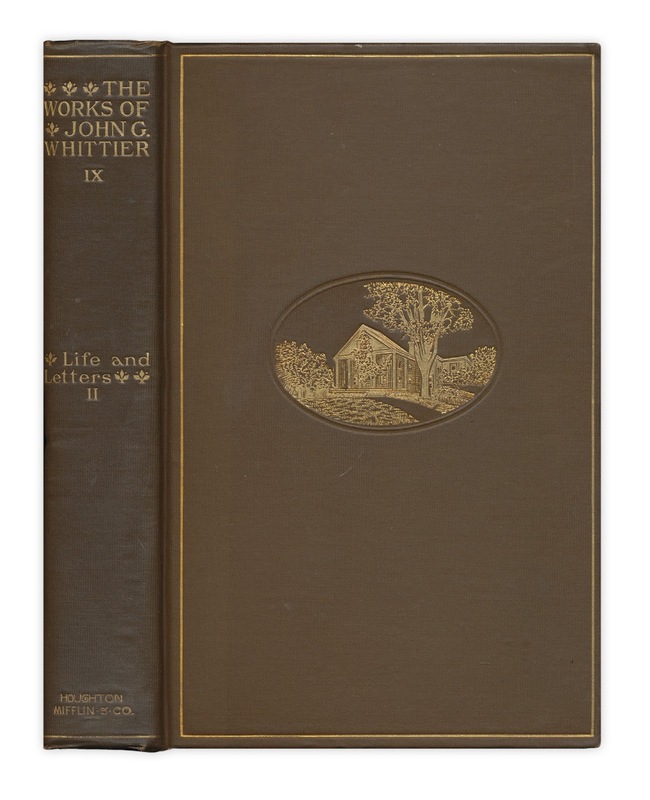 Volumes have cover soil, owner's name on front endpapers; wear and soil. This set contains seven volumes from the set; Vols. 2, 4, 5, 6, 7, 8 and 9. 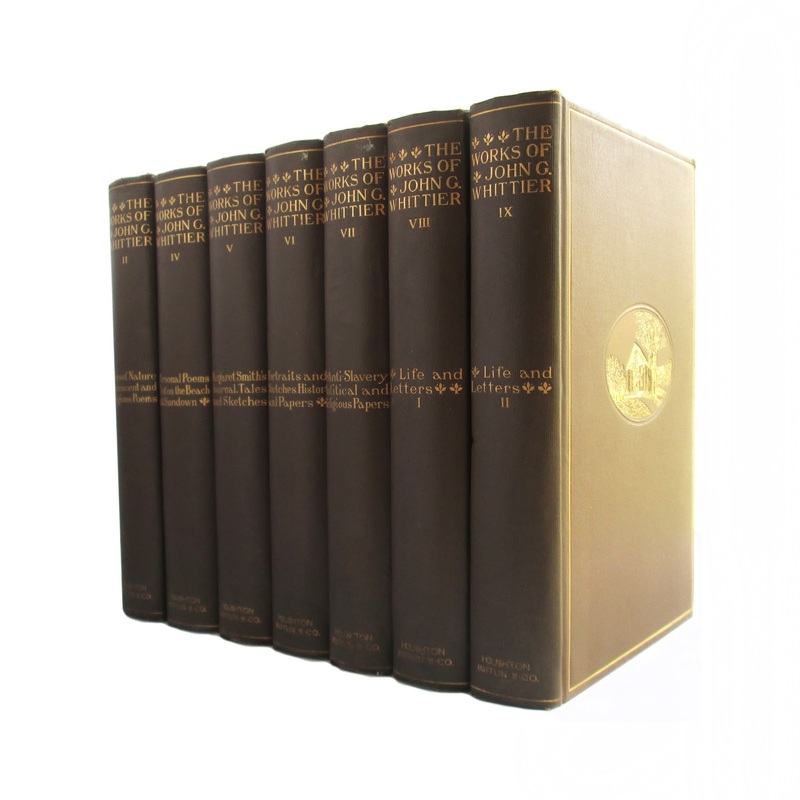 Each features steel engraving and photogravure illustrations. 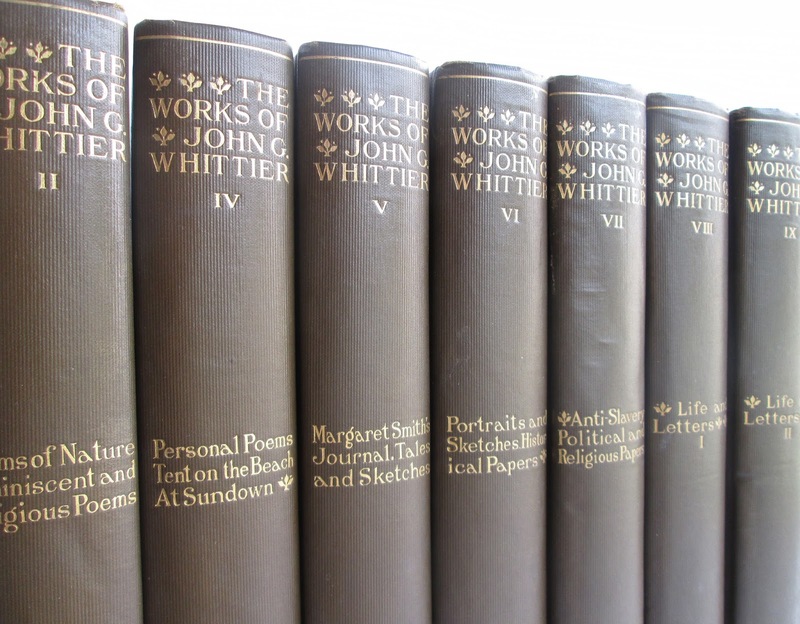 Besides Whitter's poems, these volumes contain letters, stories, sketches and historical papers. 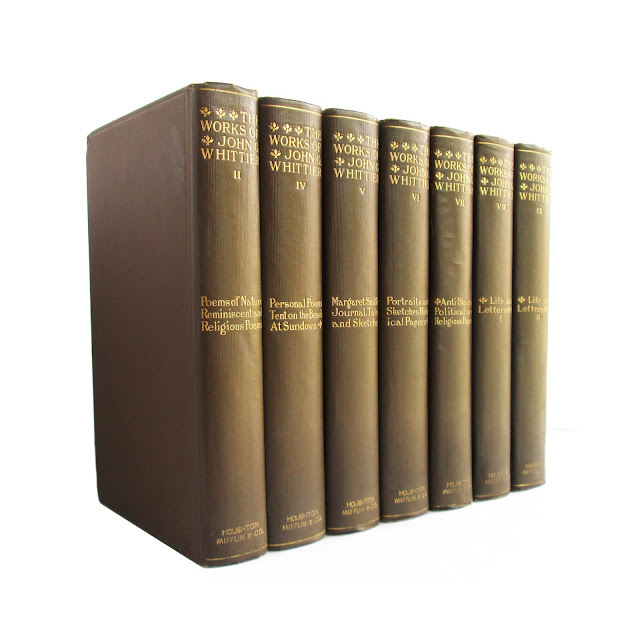 Each vol. is approx. 350-400 pages, 5"x8".